Here are a few more samples from the delightful Rule of Benedict by Mary Charles McGough. Click on them to see an enlargement--not for printing, please, but for details. Scroll down to the July 16 entry to see the cover. 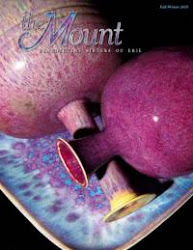 It can be purchased from the Benedictine Sisters of Duluth at 1001 Kenwood Ave, Duluth, MN 55811. I think it retails for around $50 US.